The west side of Houston is still one of the fastest growing areas in the country, and finding the right moving companies in Katy, TX can overwhelm the average consumer. But, by narrowing down the selection by considering several requirements, choosing the right mover can be easy. In today’s world, it’s important that a service provider has a good website. It shows that they are up with the times. A good company will invest the time and effort to be a powerful presence on the internet. Gone are the days of finding providers in the yellow or white pages. Even the yellow and white pages have their own websites to search. So a search on the internet is the best place to start. 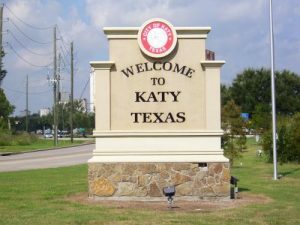 Katy is one of the fastest growing suburbs of Houston. When looking for movers in Katy, JT Melia Moving is a perfect solution because of their extensive knowledge of the Katy area. This allows you to move with confidence. Katy is located close to the Energy Corridor, making it’s population a little more transient. 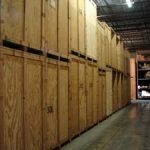 JT Melia provides long term storage solutions for clients who have to go on corporate or military assignment and need a long term storage solution until they return to Katy or Houston. A service provider’s website will have reviews and references on their website demonstrating both good and bad reviews. Unfortunately, sometimes mistakes are made even by the best, and when they’re willing to show their mistakes and how they have been remedied, this demonstrates honesty and integrity. This is a provider worth considering. The average homeowner doesn’t have much knowledge about what to expect from moving companies. Katy, TX has many listings of providers stating they service the area. Many of them profess to be qualified, professional, and able to handle a job of any size. But can they really? There are certain basic things to look for when looking for the best mover to hire. Homeowners should always look for a professional appearance. A trusted, experienced professional will have a fleet of marked vehicles, and the employees will be uniformed and take pride in their appearance. Also, the quality and condition of the vehicles should be examined. A provider that takes good care of their equipment and appearance will likely take great care of their customers as well. The most experienced professional movers Houston has to offer will have the proper equipment to handle the job they are hired to do. They will be able to provide packing materials and services to ensure items are transported safely. They will also have dollies and carts to move large items like appliances, dressers, and heavy bookshelves quickly and safely while being able to protect them from damage. A professional company will also own these items and only rent them if extra equipment is necessary. Moving companies who have to rent trucks and equipment should be researched thoroughly because it may be a sign that the company is not established. Trusted movers will also conduct themselves in a friendly, professional manner. They will give free estimates and provide a basic consultation for the job at hand. They take the time to get to know the customer and establish trust and communication. Even if the customer decides they are going to use a different provider, they should at least walk away with a good impression. Trusted professionals are very concerned about their image and reputation. 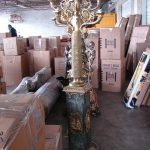 After searching and finding a few reputable moving companies servicing Katy, TX, based on some simple criteria, it will be easier to narrow down the list and select the right mover for the job. The next step would be to contact them with the details of the job and request an in-home estimate.